When I start the design process, one of my favorite parts is what I refer to as design research. I look through inspiration sites to get ideas on how I want to approach a project as a whole or for certain components. Sometimes it’s helpful to see how other designers are solving particular UI/UX problems. Here’s a roundup of my go-to places for UX/UI design inspiration. Dribble is my number one place for inspiration, especially when I am looking for something very specific. 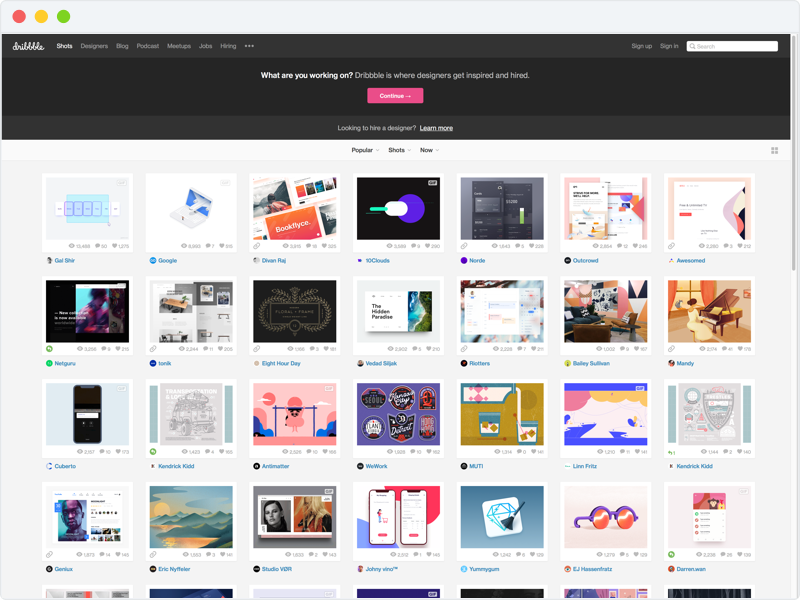 Dribbble is a community for designers where they can share what they’re working on and get feedback. The Best Designs is a design gallery showcasing, well, you guessed it, the best designs. 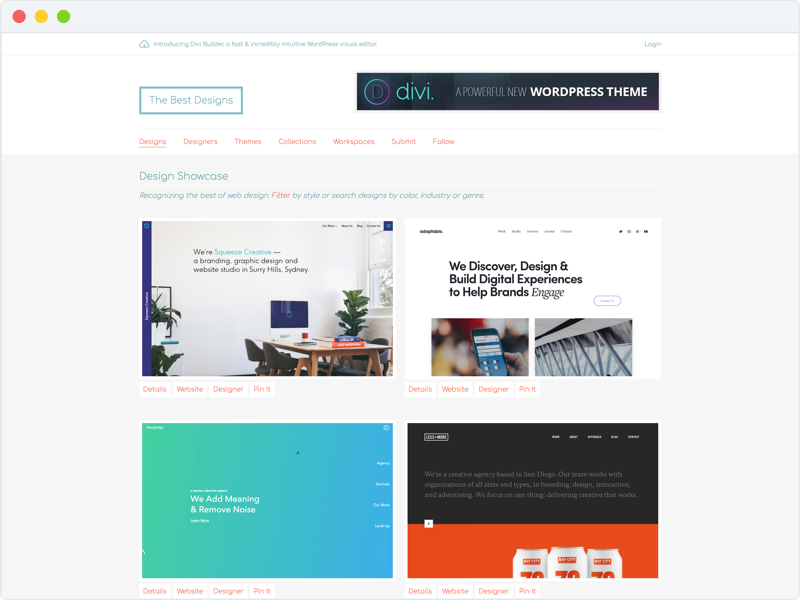 Not only do they showcase design from various industries, but as a fellow designer I like to check out the agency sites and the pre-made themes they feature as well. This is where I go to see what the latest industry standards are. I primarily use Pinterest to create mood boards and organize inspiration I come across. I’ll create boards for each project and sometimes I’ll share them with the client to make sure we’re heading in the right direction. 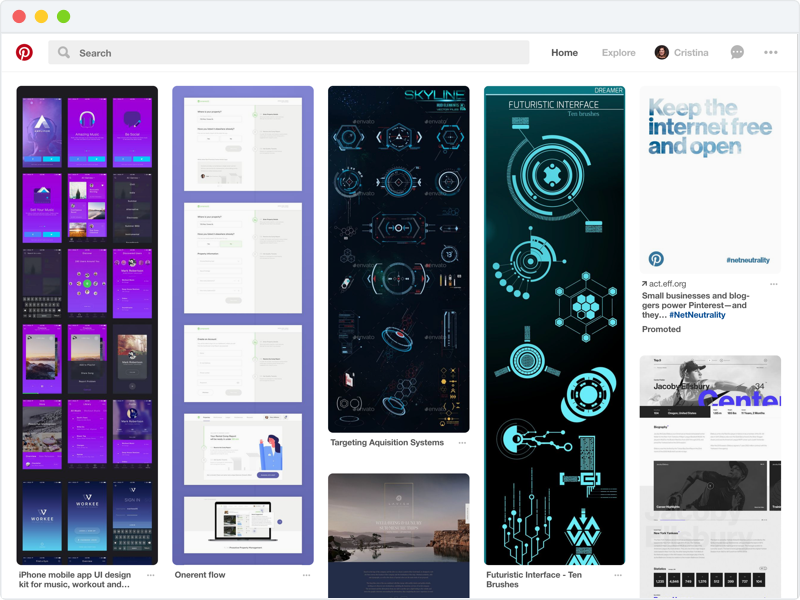 The way Pinterest’s algorithm seems to work is that it will show similar items to what you pin, so in my case the more design inspiration I pin the more design inspiration I’ll get in my home feed. 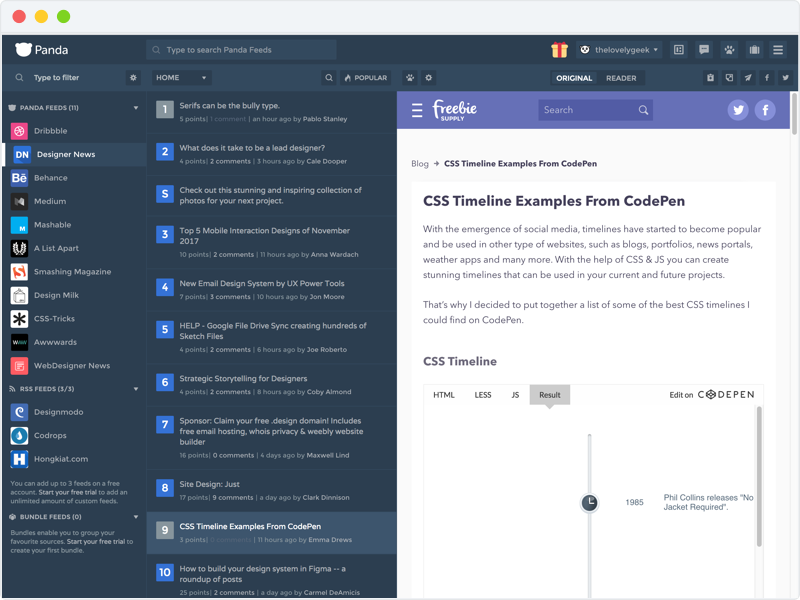 Panda is a news reader for all things design, development, and entrepreneurship. I have mine tailored towards design, so I can easily follow top sites for design-specific topics. 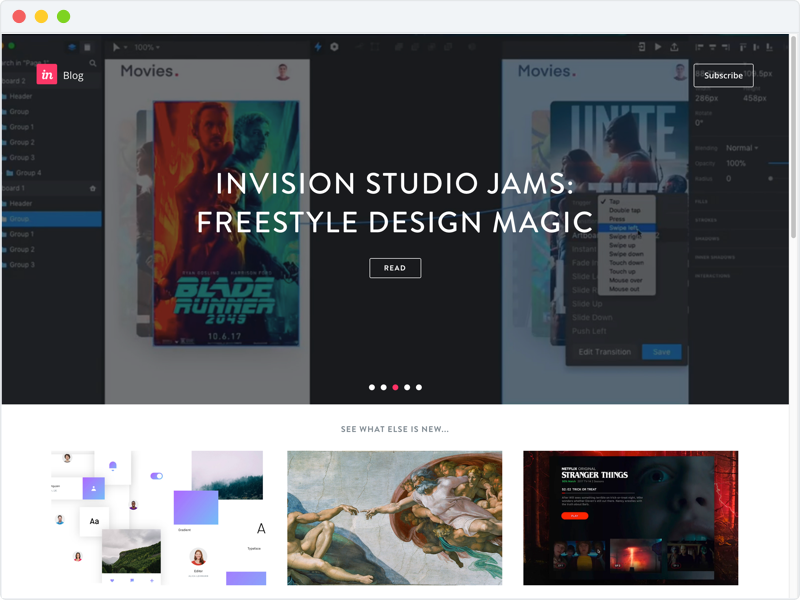 InVision is a prototyping tool we use to present design to clients. Since a lot of top companies use InVision as well they’ve become an industry influencer in the articles they feature on their blog.